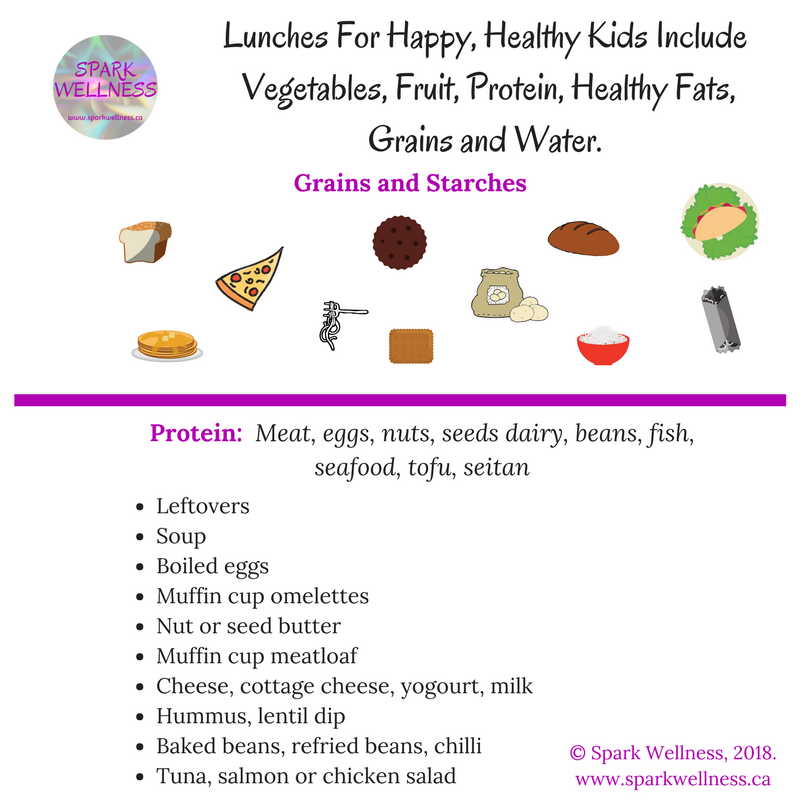 Select a food from each category to make a balanced, healthy and nutritious lunch that helps you children be ready to learn and play. Select one (or more) item from each category (grains, proteins, fruits, vegetables, treats and beverages) for a balanced lunch. Ensure a healthy meal by including whole foods. Give children choices, so they will eat what you pack. Younger children can use the template with images and older children and adults can use the template with text. Include fruits and vegetables, plus nutrients for brain health in every lunch. Increase variety by choosing from the different options. Use templates to start discussions about what you eat and how food nourishes body. Please send me the templates!